We brought the first alpacas to Western Australia and currently run about 100 head. Visitors can walk amongst and feed the alpacas and enjoy their quiet serene nature (bags of animal food are provided on entry). 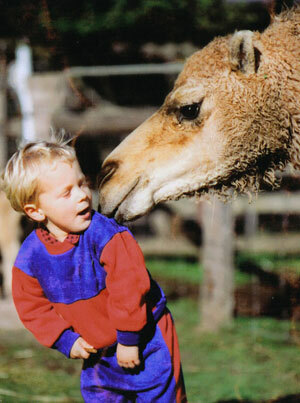 Alpacas breed all year round, so there are nearly always young babies (a baby alpaca is called a "cria"). All shearing is done on farm (by Stephen) and the raw fleeces are available to purchase in our shop. We are also very involved in the alpaca shows - look out for the "Pentland" name at the Perth Royal and Albany Agricultural Shows. We also have alpacas for sale and top males standing as stud. In 1999 we added koalas to our menagerie. Clancy and James are enjoying the mild Denmark climate and the 3000 trees we planted just for them! Visitors are welcome to pat our koalas (bring your camera) and 10am feed time is the best time to catch them awake. Each year we hand-rear 1 or 2 orphaned Western Grey kangaroos that are brought to us and these get bottle fed at 3pm along with our farm babies (usually calves, lambs, goats, piglets). The bottle-fed joeys are always very quiet and enjoy cuddles (and photos). Depending on their age, they are either tucked up in a blanket in our shop or roaming freely around the farm. 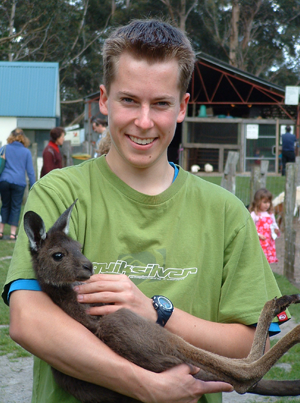 The adult kangaroos on the farm are the "grown-up" orphans that are all friendly and can be hand-fed. We have a small herd of Scottish Highland cattle and have about four calves born each year. These are included in our 3pm bottle feeding and are usually in our walk-in paddock with the goats and sheep. They are people friendly and fluffy and are available for sale when weaned. Other animals on the farm include "Jox" & "Basil" the foxes, "Em","Mu" & "Stripey" the emus, "Bex", "Bonnie", "Pebbles "Panda" and "Socks" the ferrets, "Beryl" the pig and "Fergus" and "Roxy" the dogs. There are also llamas, horses, donkeys, goats, sheep, rabbits, guinea pigs, pigeons, galahs, weiros, aviary birds and chickens. With our incubator, new-hatched bantam chicks are nearly always on view. We also often have chickens, rabbits and guinea pigs available for sale. 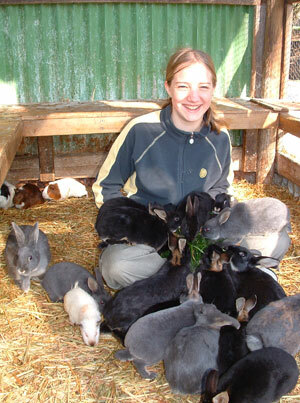 Bantam hens $15, Rabbits $25, Guinea Pigs $15, Goats $55 and alpacas from $330.